What Is So Radical about Radical Unschooling? 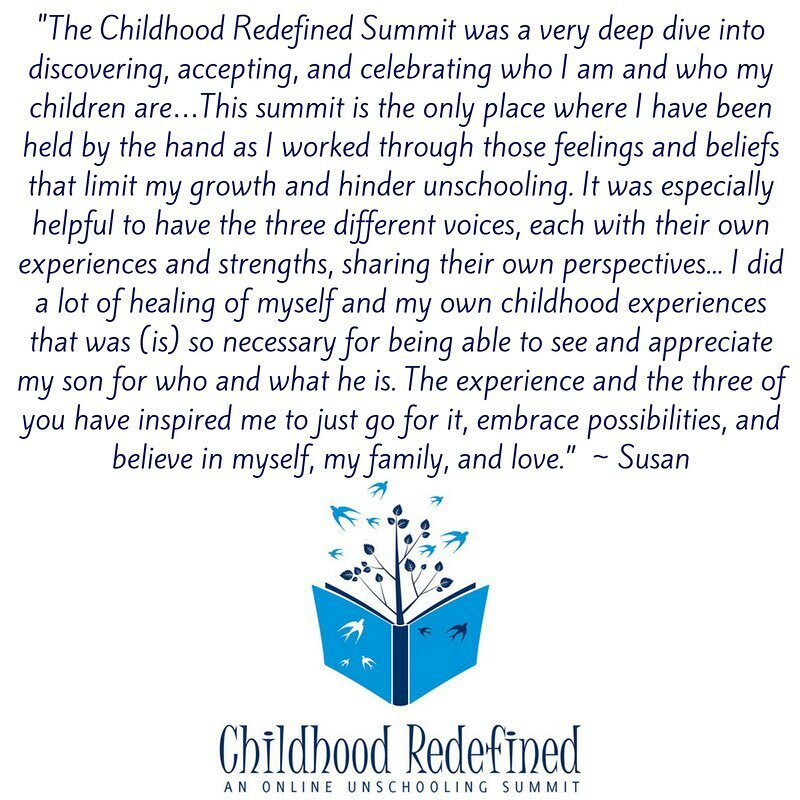 Whether you are new to unschooling or more experienced, if you aspire to learn more about this wonderful path or are looking for a boost of inspiration, then this Summit is for YOU! Between them, Anne Ohman, Pam Laricchia, and Anna Brown bring more than forty years of unschooling experience, insights, and stories with them to help you dive deep into the world of unschooling. We will share with you the experiences, insights, and tools that we've found most helpful on our unschooling journeys and walk with you from where you are now, to where you want to be. We want to help you deepen your connections in the areas of life that mean the most to you: home, family, and community.